"One of a number of items of pop art which seem to have been installed recently at Seaton Sluice. 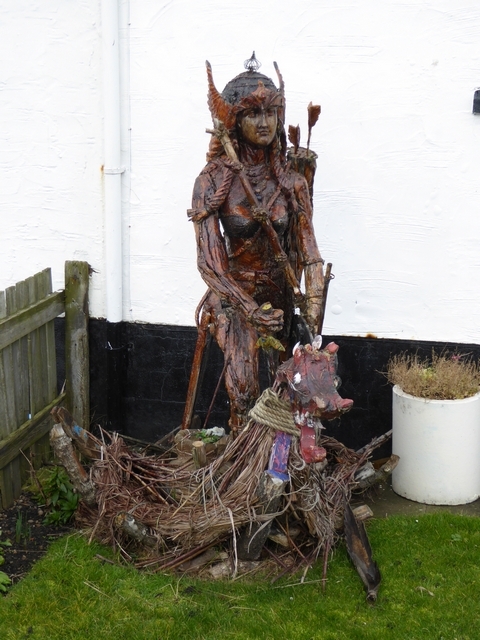 This is one example of the work of Tom Newstead who fashions sculptures out of driftwood and other natural items. Inspiration for this sculpture has been drawn from Viking myths and legends" Photo by Oliver Dixon, 2015.